This website does not collect any personal data from visitors, unless you actively provide it in a contribution to the Forum or by directly contacting the club. Please note that when you subscribe to the forum, you must provide a valid email address, which is automatically verified. This forms part of your user profile that other registered forum members can access. The club does not restrict forum membership, but will remove users or articles that are inappropriate. Please let us know if you discover material that you believe should be moderated. Contact details for club members are published in the member directory. If you would prefer to keep some/all of your details private, please get in touch and we will respond to your request as a matter of priority. Did You Know? 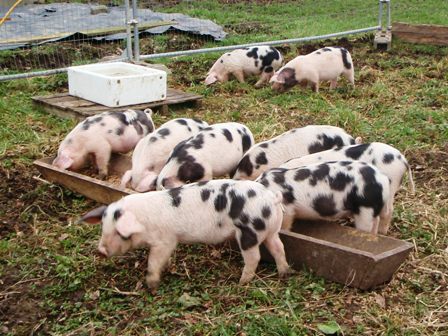 Pig’s Face Day is celebrated every other year in the village of Avening in the Cotswolds. A story of unrequited love, it goes back over 900 years when Matilda fell in love with an Englishman, Brittic, who was on a mission to Flanders. He did not reciprocate. She later married William the Conqueror and when she joined her victorious husband in England, almost her first act was to have Brittic, who lived at Avening Court, thrown into gaol, where he died. Overcome with remorse, Matilda commissioned a church to be built at Avening which was completed in 1080 and in celebration, she feasted the builders with boar’s head – colloquially Pig’s Face.